Our friendly staff will be glad to answer your questions! Our store is located in 2018 Eglinton Ave W, Toronto, ON, M6E 2K3. Three block West Dufferen and Eglinton, and half block West No Fill Supermarket. Public Paid parking available in front store from 9:00 AM to 4:00 PM, (No Parking during 4:00 to 6:00) after 6:00PM is free parking. All side street have 1 hour free parking. 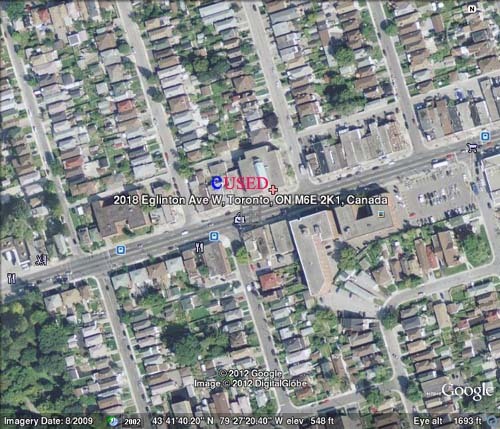 Our store is located in front Eglinton Ave W bus stop both West and East direction. It is about 5 minutes bus ride from Eglinton Ave W Subway Station.